India is known worldwide as a hub for low-cost execution especially in IT and BPO sector. But India as a hub for low-cost experimentation? Well, if some of the stories from 6th India Innovation Summit 2010 held at Taj Residency in Bangalore last week (17-18 Jun) is any indication, it certainly holds a promise. What kinds of experiments are happening in India? And where do we need to do more work? Let’s explore these questions in this article. Microsoft started a research lab in India in 2005 and Dr. Anandan MD of Microsoft research presented their charter in the first India innovation summit held in June 2005 at Leela. In the fourth India Innovation Summit held in 2008, Assistant MD of Microsoft Research Kentaro Toyama presented their work in the field of education. 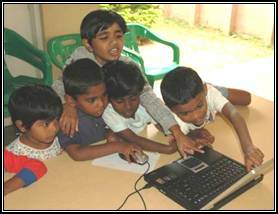 In one of the projects, a visiting research scholar, Udai Pawar (son of NIIT’s Rajendra Pawar) was trying to address a typical challenge in India where you have multiple children crowding over one computer screen. He asked, “Can we attach multiple windows and mice to a single computer?” Learning from this project has morphed into a Microsoft product called multipoint server 2010 which was launched this year and guess what is the initial target market for the product? The USA. Also it is worth noting that the early prototype was demonstrated in 2006 and it has taken Microsoft 5 years to go from research project to a finished product. Innovations typically have long cycles and jury is still out whether the multipoint server will be a success. But the point is India did contribute as a low-cost experimentation center in this story. From education let’s move to healthcare, a sector that is craving for innovations in India and abroad. Preetha Reddy, MD, Apollo Hospitals mentioned a number of experiments in this field. Today India does around 2000 telemedicine interventions per day, perhaps the highest in the world. We serve people not only in India but also from Africa, Bangladesh, Myanmar, Malaysia and Sri Lanka. Clinical trials for stem cell research are happening in India. Preetha mentioned that a low-cost 150 bed high-end acute-care hospital can be set-up in a smaller city serving 100-200 villages nearby with less than Rs.20 Cr. Folks from China, Africa and Korea are visiting to find out how this low-cost model works. So, what’s missing? Personally, I feel a disciplined approach to low-cost experimentation is missing. Hardly anyone at the conference spoke about the cost and speed of experiments they are conducting and how it can be improved further. Systematic experimentation needs creation of sandboxes or innovation platforms. Thomas Edison supervised 2774 experiments on the electric lamp during the spring of 1884! The point is not that the number was 2774 but that Edison was rigorous in tracking the costs and speed of experiments he supervised. Hope to see more of such rigor going forward in Indian organizations. Since necessity is the mother of invention, I guess India as a hub for innovation makes ample sense:-) Hopefully we will soon see a happy congruence of factors - market size, innovative products and companies, R&D budgets, educational systems etc all conspiring to make it happen! Thanks for a nice post. I wish that Microsoft deployed simultaneously in India along with US. Now the deployments need to be global to speed up innovation.